Let me begin by saying this... 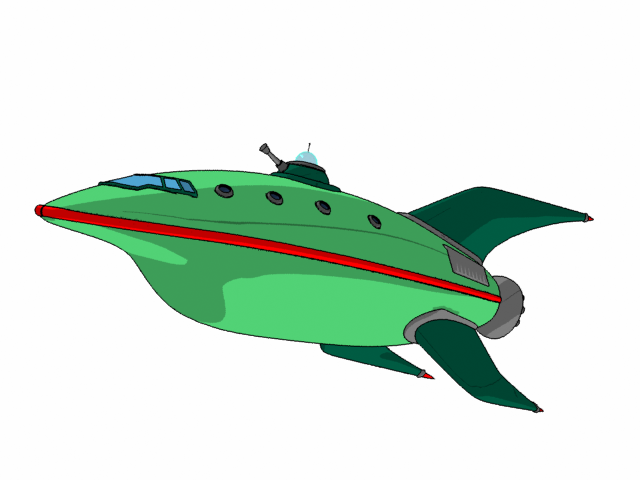 I am a huge Futurama fan and have been since the series first aired in 1999. I think it was a mix of a few things that led to my love of this show: it has the classic Matt Groening style, I absolutely love science fiction, and the show debuted in the waning years of my Simpsons addiction. All of this made a winning combination. 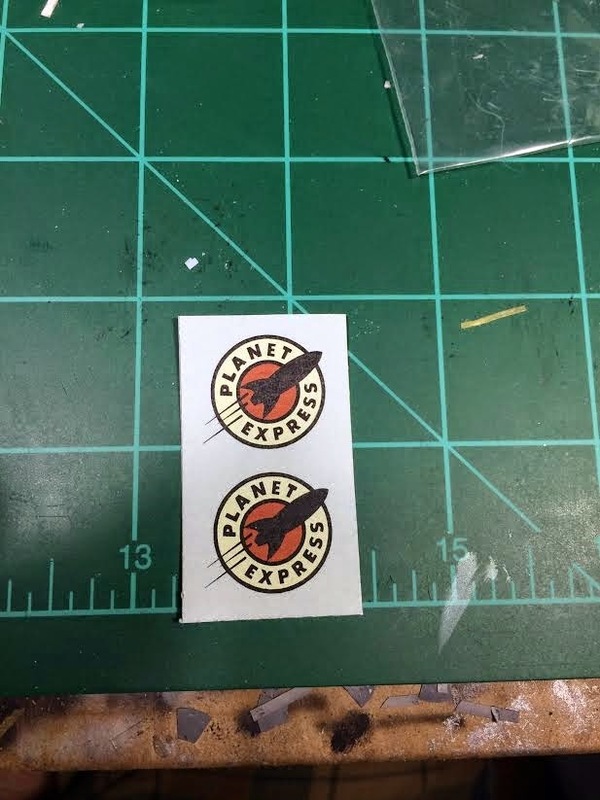 A couple of years ago, when I first started modeling Warhammer figures, I found out that there was a model of the Planet Express Ship available... or at least it was. It had recently gone out of production so there was little chance that I would be able to get a hold of one. Then I found out it was coming back in to production: now would be my chance! So of course, I didn't buy one. Well, that all changed last week when I finally decided it was time to bring one home! 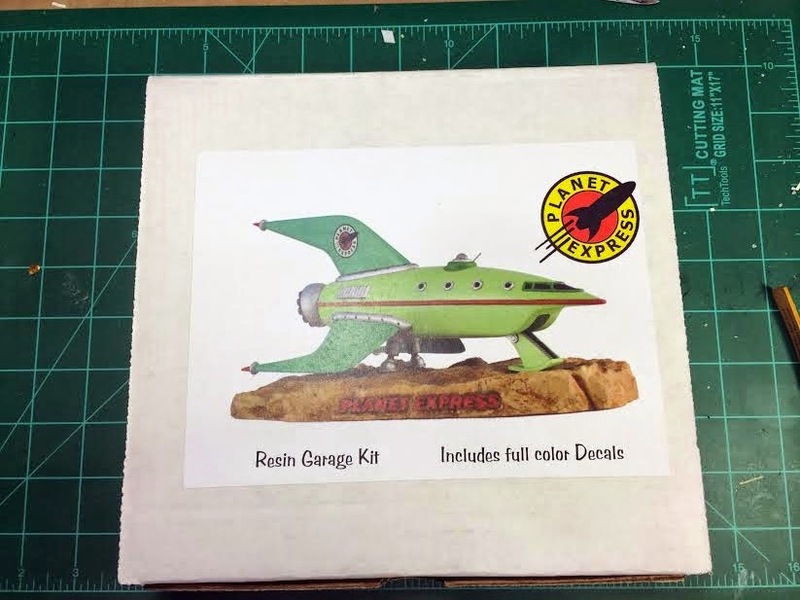 This kit is made by Skyhook Models, a garage resin company that specializes in underrepresented science fiction topics. 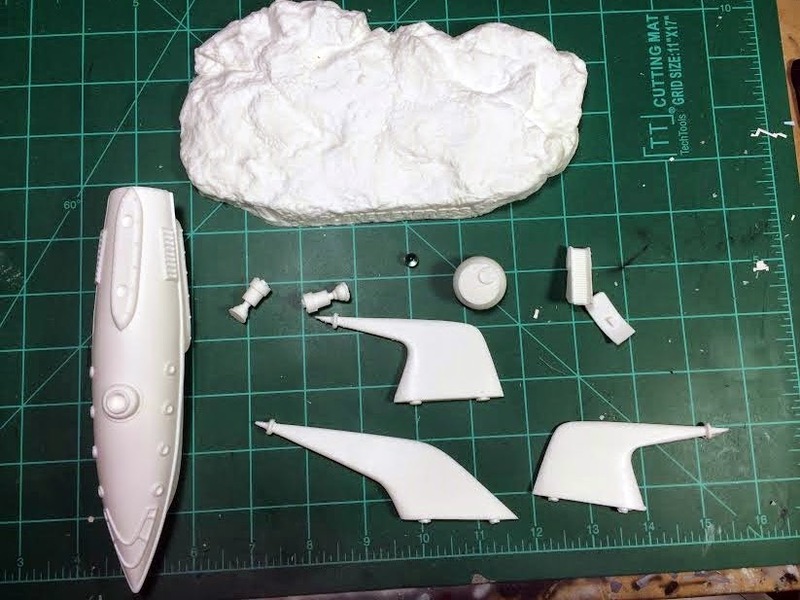 The model is ten pieces (including the huge base), cast in a hard white resin and is free of any major casting flaws; nothing outside of standard resin cleanup will be needed on the parts. You also get a frosted acrylic bead for the gun turret, a small section of 0.31mm wire for the cannon, and two ALPS printed decals for the tail fin. The real question is: how accurate is the kit? Well, it isn't that accurate compared to the "real" one. The fuselage is much too narrow in the middle and the nose is too pointy. However, these are all things I knew when I bought the model. Being pretty much the only model of this awesome spaceship available (outside of a near $400 model made by a prop builder from Atlanta), I am more than willing to accept the flaws in this kit. The only real issues with the kit is that the molding that runs around the fuselage doesn't wrap around the rear of the ship like it is supposed to. That isn't too much of a problem as the the engine mount takes up most of the space in the rear. However, I will probably have to sculpt some more molding out of Milliput to complete it. My other issue is the door on the starboard side; it is severely lacking detail. I will probably scratch built one out of plasticard to replace it and add the ladder on the hull with some brass rod. I will probably end up scratch building the the gun for the turret as well. All and all, this is a fantastic kit of an awesome subject. Despite the flaws with the kit, it is well worth it's $59 (shipping included!) price tag.